Sneakers are shoes that are made for sports or other physical exercise. But nowadays the function of sneakers has been changed, people are using sneakers for daily activities. Sneakers are generally flexible-type of shoes with soles made of rubber or synthetic material and body parts made of leather or synthetic material. Well lets find out what is it looks like the most expensive sneakers ever made. Air Jordan 2, Eminem Way I Am 313 Limited Edition sneakers used to be available in retails for about $ 1,000. This shoes is really not easy to find it, because even if you lucky enough to be able to find it in retail shop you still need to find the perfect size for you which make it become more harder for you to have it! While Nike sell this shoes, sneaker world did not expecting this limited edition sneakers will come. These shoes are sold out within five minutes after Nike officialy released it! 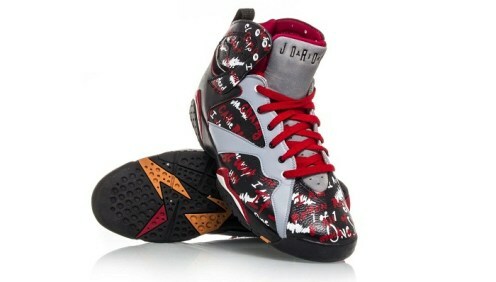 Jordan Special Edition comes in a beautiful retro design. These shoes are only available in bright red and has a snake leather and used to be sold for around $ 1,695. The part of the snake skin they are using is not faux, faux is part of snake that is usually used for bags, wallets, etc. The skin of the snake in this sneakers are skin of python! Yup, these shoes are using genuine leather of Python. The price of these shoes is about $ 3000, if you really like these shoes and are willing to pay the price of it, you’ll have a lot of attention from people when you are wearing these shoes. You will be confused by the shoes when the first time you see it. It is looks like this sneakers are inspired from sci-fi movies. This sneakers have a special effects on the soles part they can glow in the dark with smoke graphics, and the theme of pull-tabs. But unfortunately Nike only produced 800 items of this sneakers. The Nike Dunk Low Pro SB ‘Paris’ is part of a series of White Dunk City with an average price of $ 4,500 and only 202 are produced by Nike. This shoes is an art, it is not only as footwear only. This artwork is the work of French artist named Bernard Buffet. If you’ve ever watched Back To The Future 2 surely you already know these shoes! Yup, the shoes in the BTTF2 is available on reality with the price of $ 6000, but unfortunately this shoes do not have a self-tightening rope technology. Nike Air Mag was first released in 2011, is very, very limited editions and only sold during the auction. 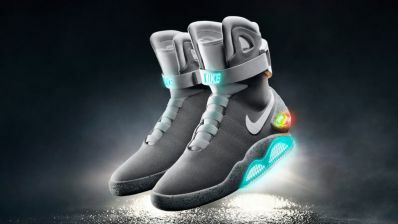 This sneaker has such high top boots and can be lit up like in the movie and soon Nike has features self-tightening. 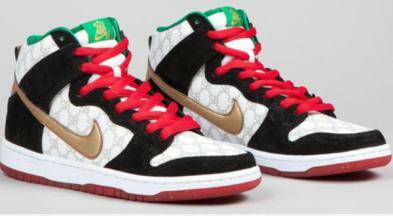 Nike SB Dunk High Flom is the world’s most expensive sneakers at a price of $ 7,500. Only available in a particular seller, this shoes are black and white, with gold and red Nike logo. The design at the collar, toe, side panels looks like its Gucci’s. Flying Fox Longest and Fastest in the World!